Owing to the fact that cryptocurrency has not yet been fully integrated into the economic model, the time will surely come when you need to cash in a Bitcoin or two for local currency. Perhaps you’ve been stockpiling Bitcoin as an investment vehicle, and the current price meets your established threshold for collecting your profits. Or maybe an unforeseen expense that can’t be paid for in Bitcoin, like a medical bill, has created a sudden need for cash. Whatever the situation may be, part and parcel of possessing Bitcoin – at least until full integration is achieved – is exchanging your virtual currency for the real world fiat alternative. For beginners who are just entering the Bitcoin ownership phase, this process can seem a bit daunting at first glance. Comparing centralized and decentralized exchanges, deciphering terms like “buy order” and “sell order,” and pulling the trigger on trades while the volatile value of Bitcoin rises and falls are tough sells for users who only recently jumped aboard the Bitcoin bandwagon. This page should serve as your comprehensive guide to the world of selling Bitcoin in exchange for local fiat currency, including advice on exchanges, the pros and cons of private sales, and the increasingly common Bitcoin ATM tool. What is the Easiest Way to Sell My Bitcoin for Fiat Currency? You’ll find several Bitcoin exchanges doing business over the internet, including BitBrothers, Coinbase, and Kraken, among many others. A centralized currency exchange is essentially a third-party platform where users can deposit either cryptocurrency or fiat currency, establish a price point for purchases or sales, and connect with other users searching for the opposite end of that transaction. So somebody looking to offload two Bitcoin would set a price point at or near the current exchange value, and the exchange would identify an appropriate trading partner looking to purchase Bitcoin at the requested price point. From there, the Bitcoin are transferred from the seller’s personal account to that of the buyer, while the fiat currency in question is transferred in the other direction. Bitcoin exchanges which rely on the centralized model – including Bitstamp, BitFinex, BTC-e, BTC-China, and Huobi – are usually the most convenient way to sell cryptocurrency, but with convenience also comes security concerns. Indeed, the most infamous episode in Bitcoin history involved the defunct centralized exchange known as Mt. Gox, which was the most popular venue for Bitcoin trading between 2010 and 2013. That year, following a spate of trading incidents, Mt. Gox became insolvent and shut down suddenly, making off with user account funds in the process. Of course, the Mt. Gox fiasco has prompted Bitcoin enthusiasts to work diligently toward preventing another disaster like it from ever occurring, and Bitcoin exchanges which have been well-vetted are typically safe in today’s market. With that said, using any centralized currency exchange goes against the entire purpose of creating cryptocurrency like Bitcoin in the first place: to remove the need for trusted third parties like banks, PayPal, and other financial institutions. To that end, the documentation that is now typically required by centralized exchanges in order to arrange withdrawals to your fiat currency bank account can be onerous, as most Bitcoin enthusiasts are searching for alternatives to the paper trail anyway. What is the Safest Way of Selling Bitcoin for Fiat Currency? The alternative to a centralize exchange, and its inherent third-party risks, is a decentralized currency exchange. Platforms like B&C Exchange, Bitquick, Bitsquare, LocalBitcoins, and Coinffeine are all helping to lead the charge towards establishing decentralized exchanges as the default for cryptocurrency trading. These decentralized exchanges avoid acting as third-party middlemen that move money between two sources, and instead they facilitate direct trades between individuals. Users place orders to buy or sell (known as bids and asks) various currencies and the exchange posts those orders for the community to review. Sellers with Bitcoin to unload would place an ask order listing the amount of Bitcoin on offer and a corresponding fiat currency price point. Buyers, meanwhile, can sift through various ask orders to identify suitable trading partners selling Bitcoin at a reasonable rate, and contact them directly to arrange the exchange. Conversely, as a seller, you can search for bid orders from users trying to purchase Bitcoin in exchange for the local fiat currency you use. Decentralized Bitcoin exchanges also forego the documentation phase, allowing traders to retain their privacy throughout the course of an exchange. To do this, a decentralized exchange serves in the traditional escrow agent capacity, holding the funds involved in a trade aside while the individual traders negotiate the details of the deal. Once finalized and approved by both parties, the exchange simply releases the funds into the appropriate accounts to complete the trade. Can I Sell My Bitcoin for Cold Hard Cash? 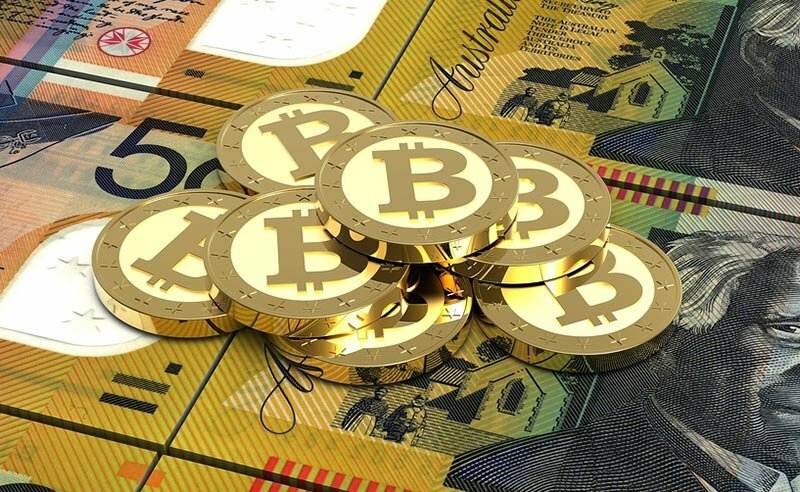 Some users simply need to get their hands on some green bills in order to make ends meet, and in this case, selling Bitcoin for cash is the best way to go. One of the decentralized exchanges listed above, LocalBitcoins, provides a service to connect Bitcoin sellers to arrange in-person exchanges with buyers – much like a Craigslist swap. And just like you would when bartering goods and services online through Craigslist, trading Bitcoin for cash in the live setting should always be done with personal safety in mind. Ask to meet up in a public place, such as a restaurant or even a police station, to prevent any possibility of robbery or similar criminal activity. With these precautions taken care of, though, turning your Bitcoin into bills is actually an extremely easy process to undertake. Simply ask the buyer for their Bitcoin wallet address and public key information, and use your own wallet to send the Bitcoin to them in exchange for cash in hand, a bank wire transfer, or similar means. You can also take advantage of services like Mycelium Local Trader, an app included in the Mycelium Android Wallet which turns your smartphone into a locater service for connecting with Bitcoin buyers. Both the LocalBitcoins and Mycelium platforms also include “reputational” services to identify users with clean track records, so be sure to associate with buyers who have established strong reputations within the community. What About Those Bitcoin ATMs? Another method of converting Bitcoin into local currency is by visiting a specially designed Bitcoin ATM machine. These machines are typically set up to allow for fiat currency deposits and Bitcoin withdrawals, but you can reverse the process to “sell” Bitcoin by depositing and withdrawing fiat currency. According to the CoinATMRadar.com site, more than 800 of these Bitcoin ATM machines are currently serving consumers in 54 countries. In the United States the leader in Bitcoin ATM adoption has been New York City, with 76 operational machines, followed by Los Angeles (46), Chicago (42), Washington D.C. (34), Atlanta (30), Dallas / Fort Worth (22), the Bay Area (18), and Las Vegas (16). All told, the U.S. is home to 450 cryptocurrency ATMs, followed by Canada (117), the United Kingdom (36), Spain (26), and Finland (17). So you’ll obviously need to find yourself in a major metropolitan area in North America, or a European nation, in order to utilize Bitcoin ATMs to sell off cryptocurrency. But those numbers are growing by the day, so in a few years when Bitcoin integration has reached its potential, the safest and most convenient way of converting virtual currency to fiat money will be, fittingly enough, selling it to a machine.